Shire Garden Store: The Shire garden building is a great little storage unit for storing gardening tools, step ladders and outdoor equipment. The Shire wooden storage unit is available in two sizes - 4 x 2 or 2 x 2. 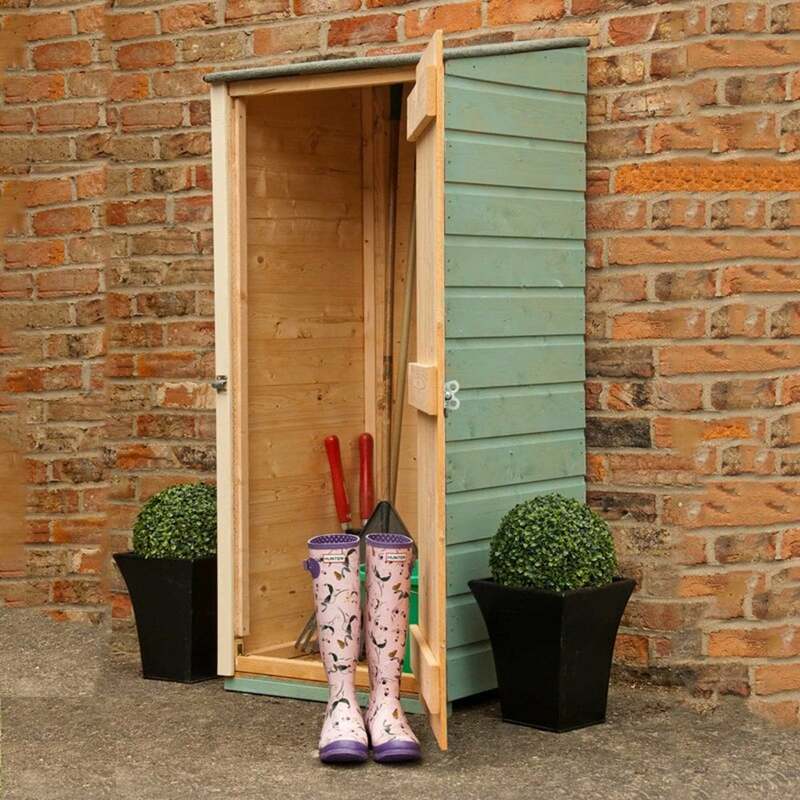 The Garden Store mounta very easily against a wall or fence side and require minimal floor space whilst offering a very useful outside cupboard for storing those items that you don't really want in the home. The Shire storage unit is manufactured with 12mm shiplap tongue and groove walls for a solid structure and OSB roof and floor boards. This garden building is delivered with a factory applied base coat treatment. The shed will require the application of timber treatment within 3 - 4 months of assembly. The Garden Store is painted for illustration purposes.